Samsung has been dominating the mobile industry, since the launch of its first Android Smartphone. It is a South Korea based company, which has its hand full, with manufacturing everything from smart phones to television to refrigerators, and a lot more. The company recently launched Tizen OS, which is an alternative for its Android based devices. Recently, Samsung announced about its plan to re-launch an updated version of its Galaxy series. 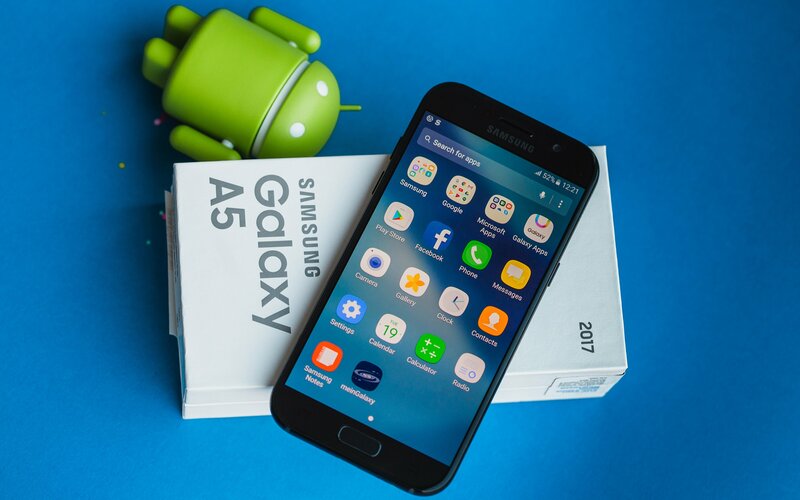 One of which has already been launched in January, Samsung Galaxy A5 2017, the old version of the mobile was launched in 2016. Samsung Galaxy A5 2017 Price in India is hefty, as it ensures to satisfy its customers with its stylish and sleek looks, HD quality camera and latest modifications that will give an amazing Android experience. Considering the old price of the Smartphone, which was set at Rs 19,999, Samsung Galaxy A5 2017 Price in India, is set at Rs 28,999. Its upgrades have definitely added on to the cost. The price of the phone can be a seen as limitation for its sales. And looking at the ever growing competition in the market, getting a better deal from another brand at this price, does not seem challenging. The company has not made any dramatic changes in the outlook or design of the phone. It comes with a 5.2 inch multi touch FHD Super AMOLED screen, which has a corning gorilla glass 4 protection just like its older version. However the mid ranging Samsung Galaxy A5 2017 Price in India has added a few extra curves around its edges. Unlike its 2016 version, Samsung Galaxy A5 2017 is completely water resistant. This is a great feature as majority of Smartphone users are way too attached to their device and carry it everywhere, be it a bath or a beach holiday. Samsung has also updated its processing system by modifying it to Exynos 7880 Octa core 1.9 GHz chip-set from the old version, which constituted Exynos of 7850 with Octa core processor of 1.6 GHZ. Samsung Galaxy A5 2017 Price in India will also cost you more than 2016 edition because of 1 GB extra RAM that it has and the 16 GB internal storage that it added in the device. Samsung Galaxy A5 2017 comes with a 3 GB RAM and 32 GB internal storage which is expandable up to 256 GB. The last year’s model came with Android 5.1.1 which is upgradeable to v7.0, just like Galaxy A5 2017. However, the 2017 version came with a built in Android 6.0.1 Marshmallow. Its Android upgrade is good selling point for the device, as you can get the latest technology, without even investing in another Smartphone. The company has definitely put a lot of thought in its camera, and seems to target young customers with its 16 MP front camera which is 11 MP more than its 2016 model; the camera quality is a blessing for all the selfie lovers. They have added a few megapixels to its rear camera as well, making it a 16 MP camera, from 13 MP. Samsung Galaxy A5 2017 Price in India, justifies itself in this department as the quality is beyond perfection, and it is getting great reviews for the same. However one can criticize it for not including the dual camera in its front camera, which is available in several smart phones of this price range. Samsung Galaxy A5 2017 Price in India has been increased because of some significant upgrades in the device. Samsung Galaxy A5 2017 comes with a 3,000 mAh non removable fast wired battery which is almost 100 mAh more than its 2016 version. It charges more than 70% battery in mere 30 minutes. The device now comes with a dust and water resistant technology, to add durability to its life and performance. It comes with a USB type C port and other sensors like fingerprint, gyro, compass, barometer and accelerometer. Samsung Galaxy A5 2017 Price in India is not very cheap but will ensure to satisfy you. It has been getting great performance and camera reviews. And considering that the device is upgradeable to Android v7.0 Nougat, its turns into a worth it deal. You wouldn’t have to think about buying a new phone for another year, as you can get access to latest Android in your Smartphone.